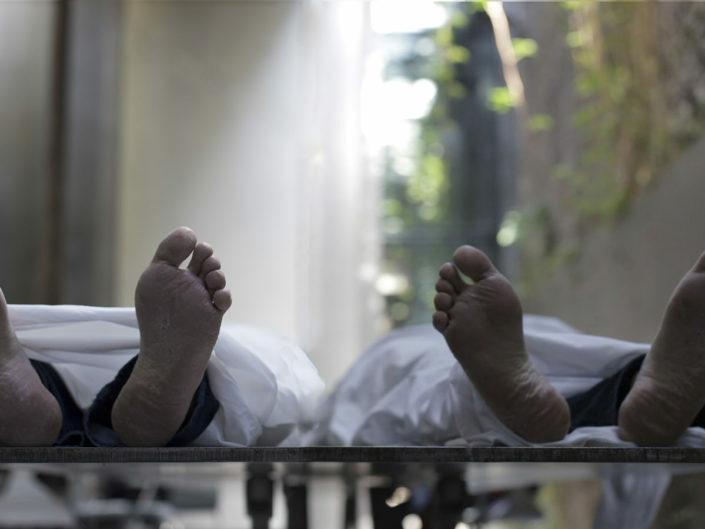 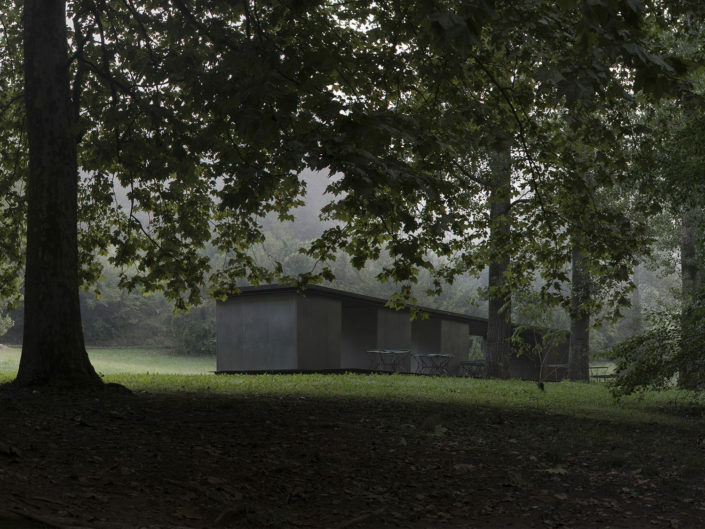 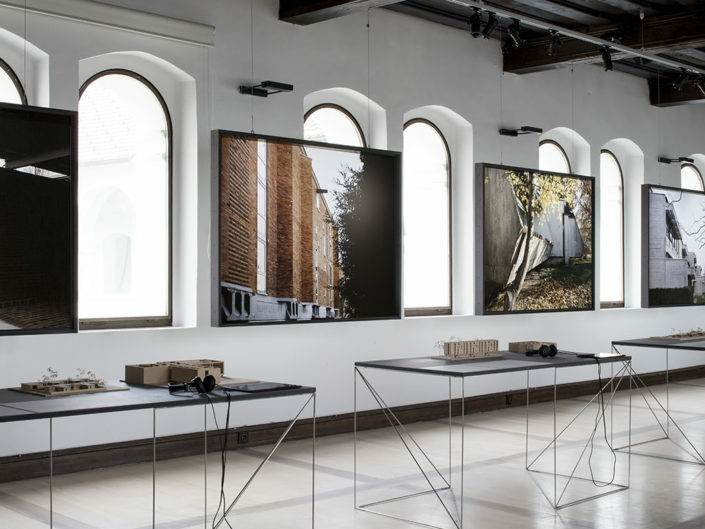 The project responds to ‘Reporting from the Front’ by addressing the topics of home and dwelling as current, critical social and environmental issues. 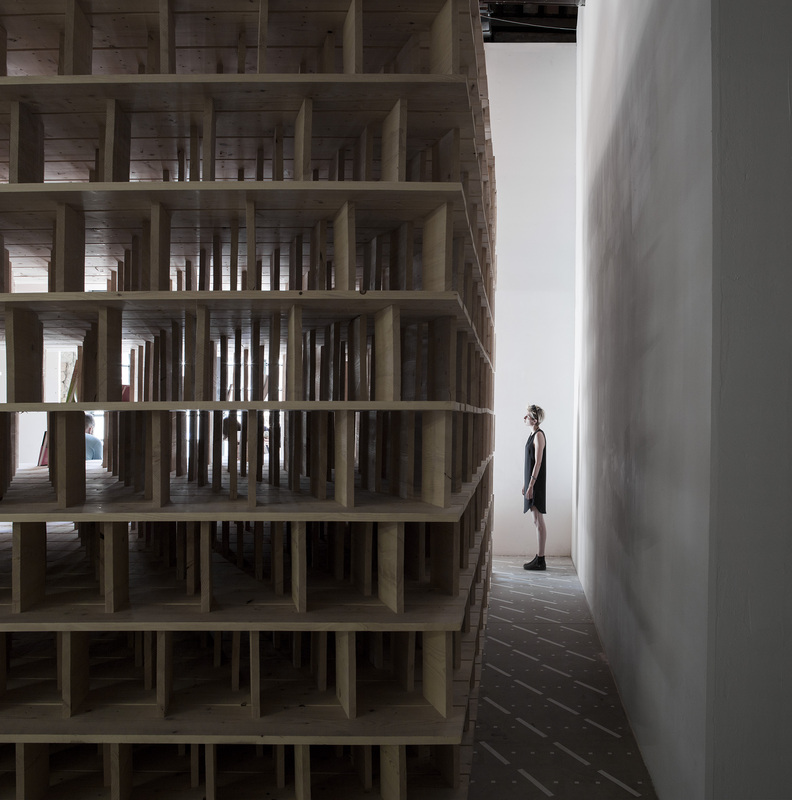 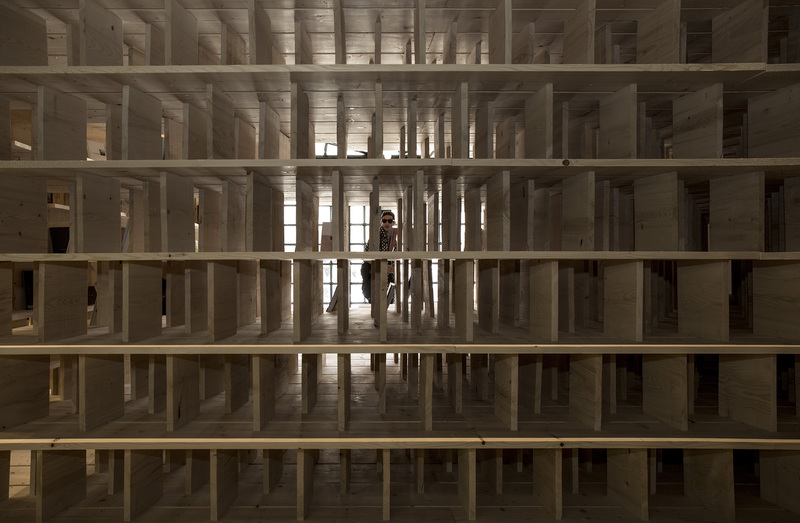 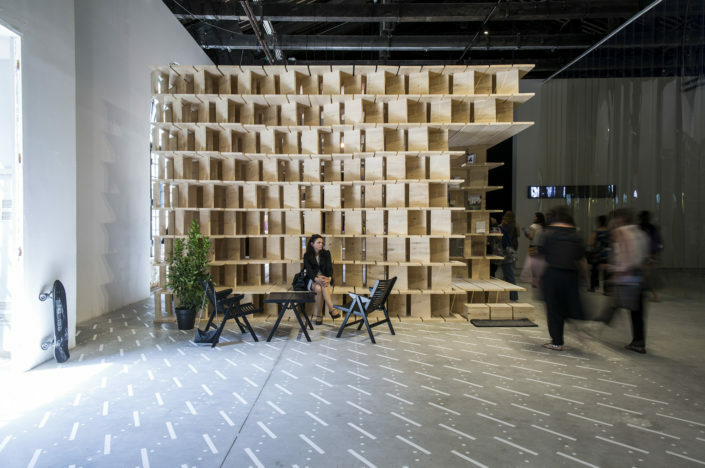 The curators conceived a 1:1 site-specific inhabitable spatial wooden structure, an abstract compact home performing as a curated library that operates as a platform for exploring the concepts of home and dwelling during the exhibition and beyond. Invited architects, artists, critics and curators from various backgrounds are participating with their selection of some 10 books addressing the notions of home and dwelling to share their experience and expertise ‘from their fronts’ in order to build the curated library of collective knowledge. 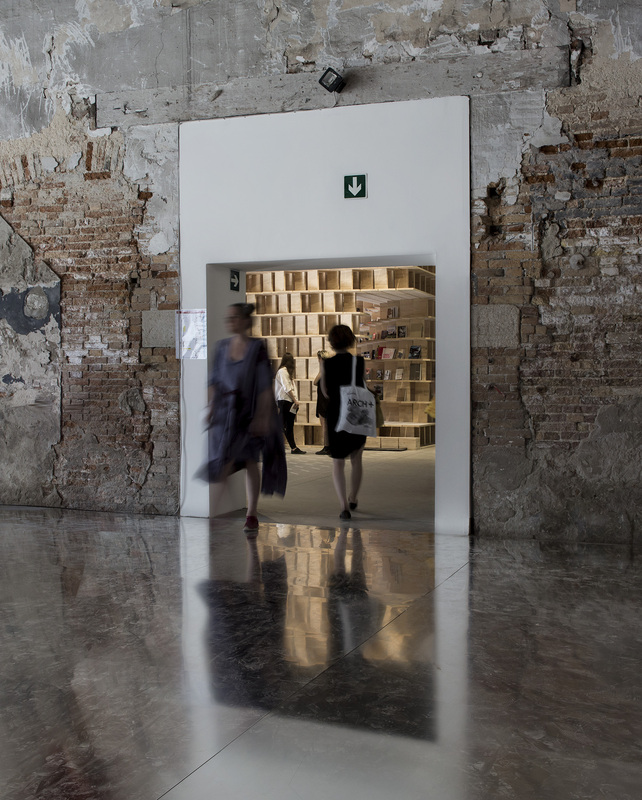 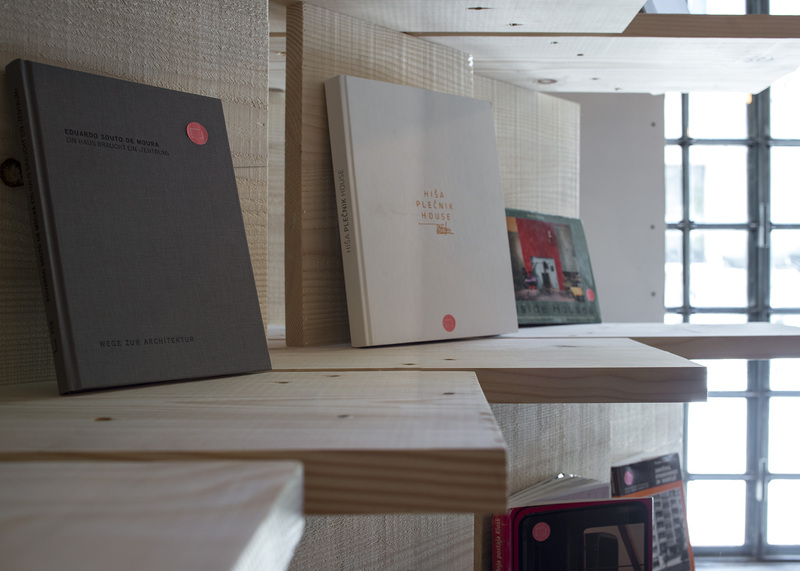 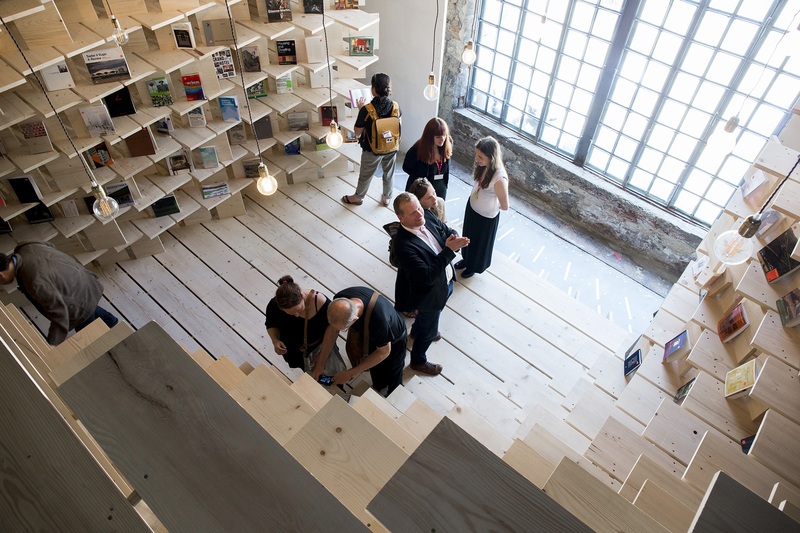 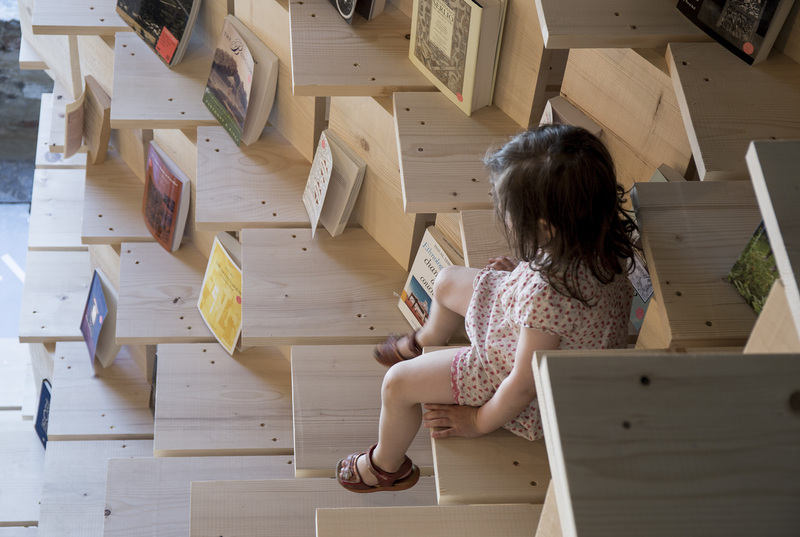 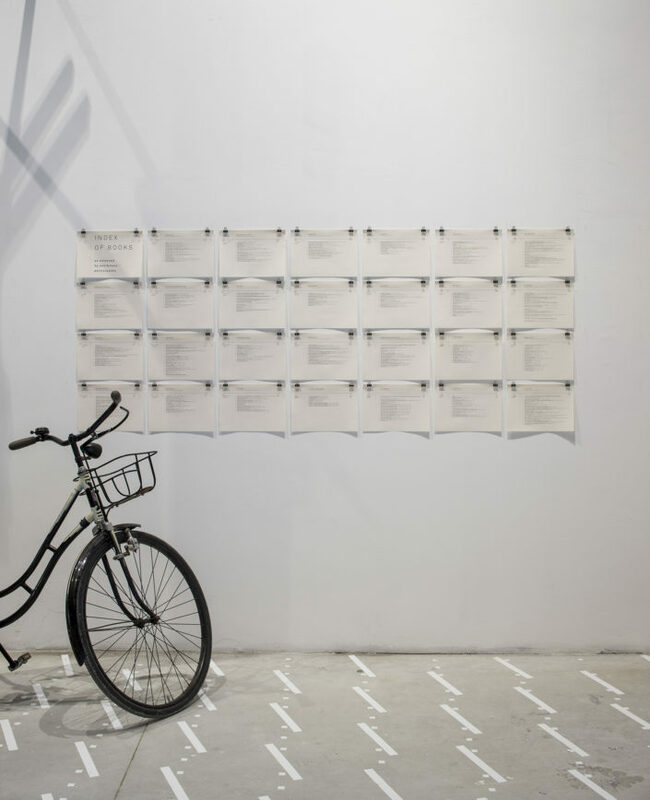 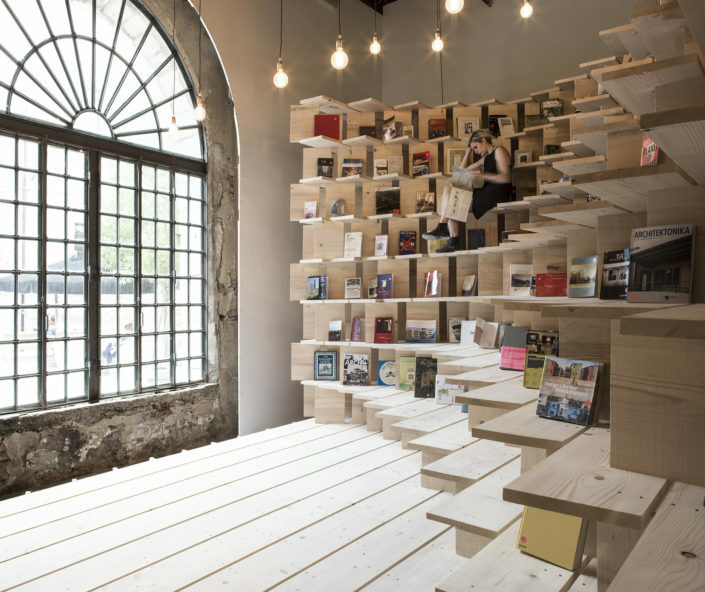 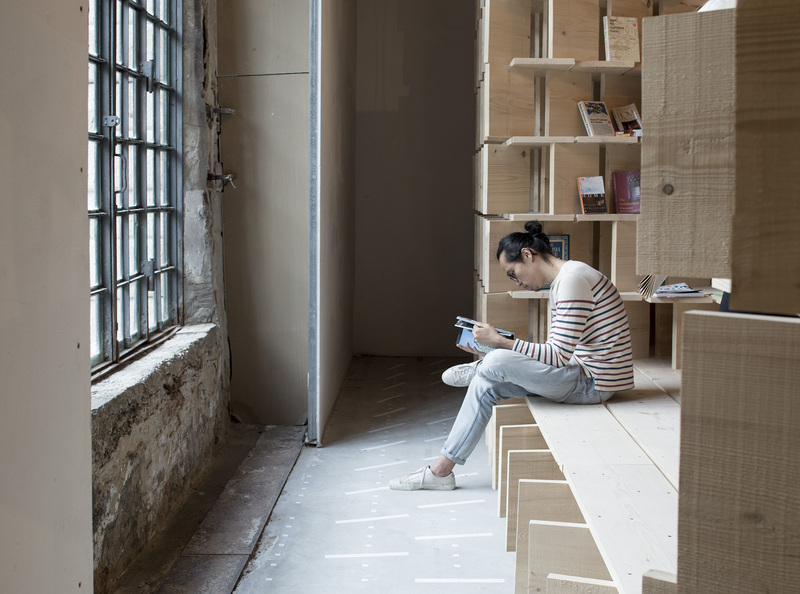 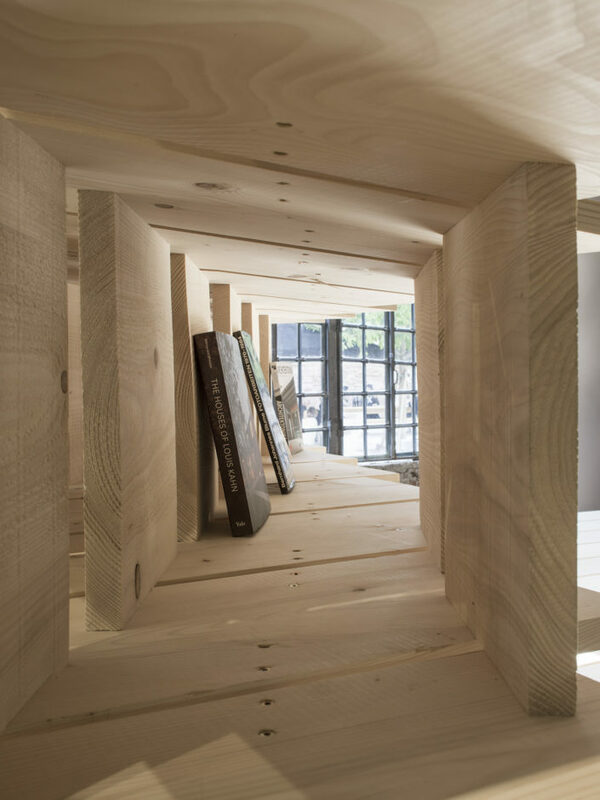 Ultimately, the installation with around 300 books will relocate to the Museum of Architecture and Design in Ljubljana, to be continually available for public use. 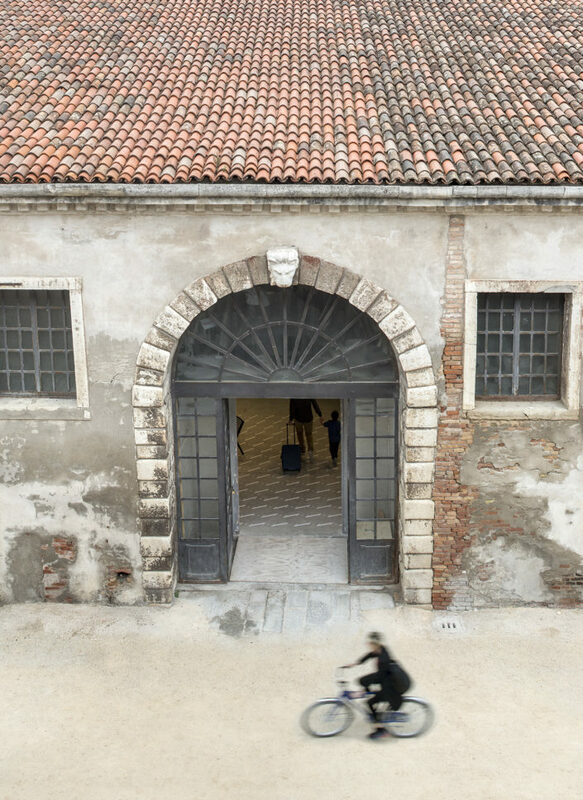 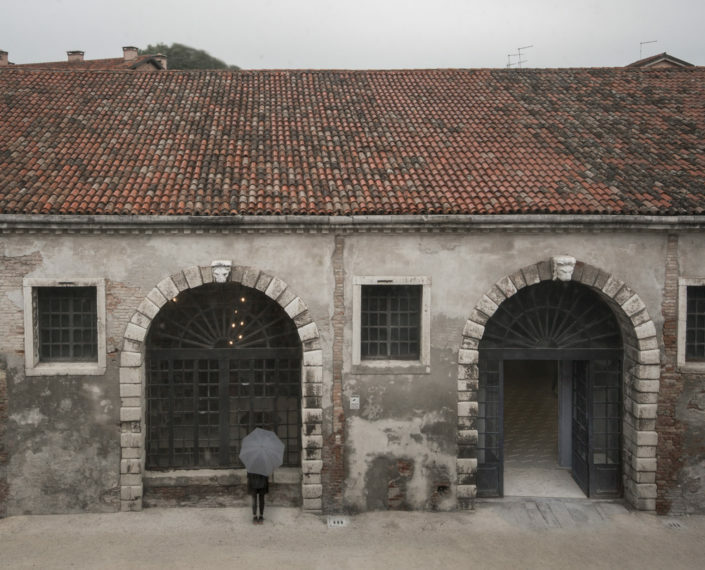 The installation [Home at Arsenale] reflects the curators’ approach to thinking and making architecture, underlining its social position, material manifestation and architectural legacy, where the user experience and participation are the central objectives.